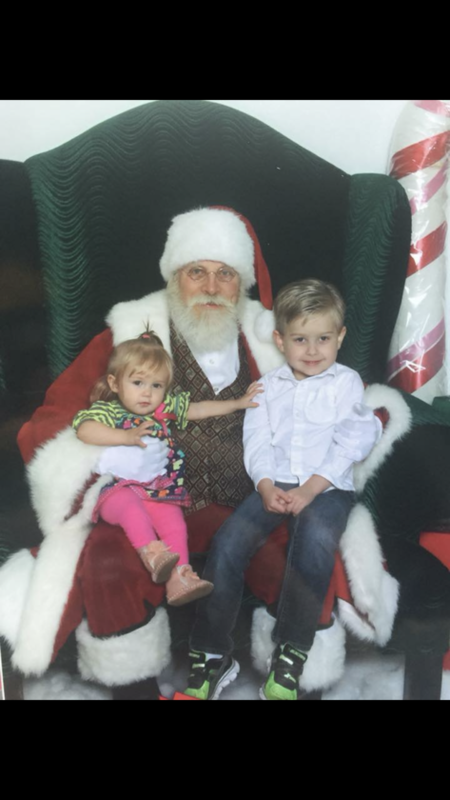 Photo submitted by Ali Strahn Ethan Barnhart and his little sister, Penelope, pose with Santa Claus during the holiday season of 2017. 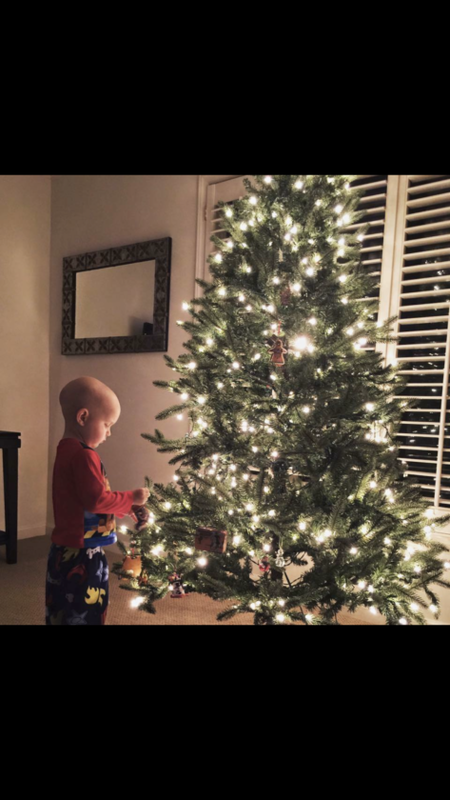 Photo submitted by Ali Strahn Ethan Barnhart stands by the family Christmas tree three years ago, the year he first received the diagnosis of childhood leukemia. This Christmas, he is cancer-free. Photo submitted by Alexis Conley Atlas Stephen Perry, a month old, is adding a new dimension of gratitude to Christmas for his family. 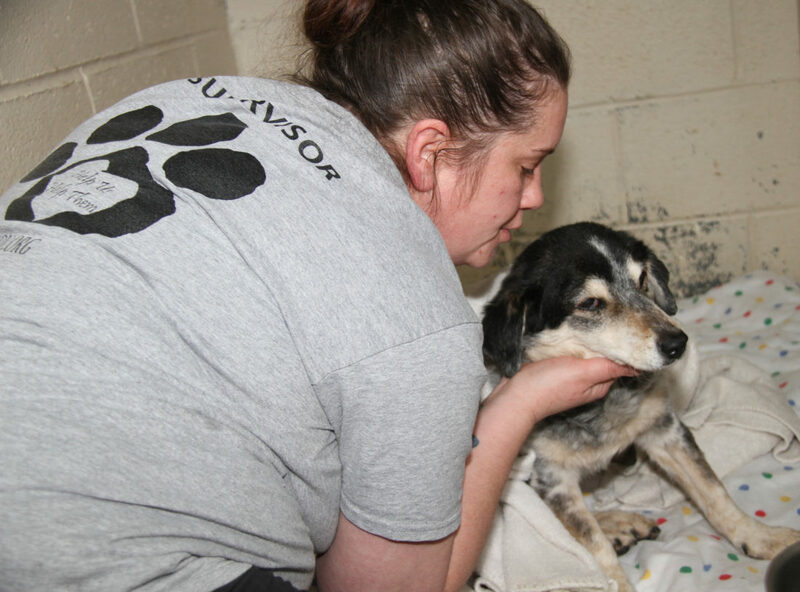 Photo submitted by Sharon Paul Shiloh, a 26-year-old Australian cattle dog shown here being comforted by Rennelle McIntire, had one of the more memorable stories told by the Humane Society of the Ohio Valley animal shelter staff in Marietta this year. Photo submitted by Sharon Paul Jackson, a tabby cat barely alive when he was rescued by the Humane Society of the Ohio Valley in Marietta, survived to find a home as a one-eyed companion for a local family. The holidays for many are a time of reflection on what’s good, just and enriching about life. For a few grateful Marietta area residents, the gift of life itself has been the ultimate blessing. This will be a memorable Christmas for 6-year-old Ethan Barnhart and his family. It’s the first holiday season in three years — half his young life — he’ll be free of childhood leukemia. Ethan’s treatment plan was to run over three years, Strahn said, and included the installation of a “port” – a device implanted in his skin to receive infusions of chemicals and medications. The risks included increased susceptibility to infection, and last year, Strahn said, that concern put Ethan in the hospital over Christmas. “He was feeling OK but he had a fever, and anytime it hit more than 100.3 degrees, he had to go to (Nationwide Children’s Hospital in) Columbus, no matter what, to make sure there wasn’t an infection in the port,” she said. His younger sister, Penelope, who was less than a year old at the time, had to stay home with other family members. Ethan started kindergarten at Putnam Elementary School in the fall, and two weeks after he started classes the port was removed. He’s in remission and celebrating the first Christmas in three years without it. Ethan has inspired his family with his resilience throughout the battle, and Strahn said he’s taken that inspiration to their place of worship, Pathways Community Church. The church holds three services every Sunday, and assistant pastor Nate Gibbons said Ethan sometimes stays for all three. Strahn is now 25, and gave birth to Ethan when she was 19. 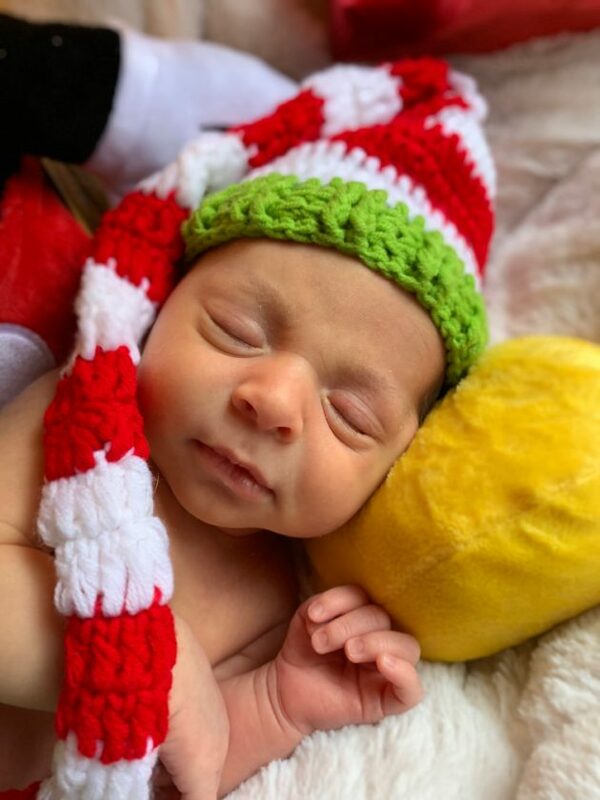 A new child injects fresh meaning into Christmas, Alexis Conley said, and this year will be unique for her and her husband, Stephen Perry. Atlas Stephen Perry was born Nov. 22, 7 pounds, 8 ounces. It’s the couple’s first child. 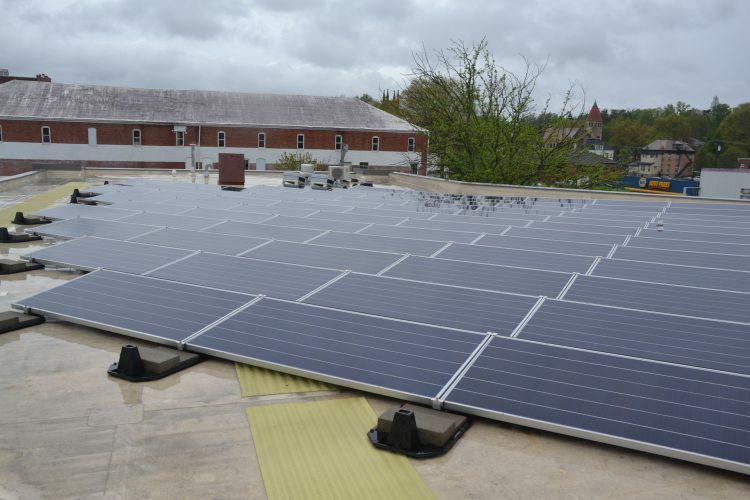 As the new mother spoke from her home in Fleming on Monday morning, gurgling and sounds of delight could be heard in the background. “Grandma’s changing him now,” Conley, 24, said. Christmas gifts included a continued flow of new clothing and diapers. “He’s already grown out of the newborn size,” she said. Conley said she works in health care and fortunately was promoted to an administrative position recently, which makes her schedule easier to dovetail with her new responsibilities and gets her away from Christmas duty at work. Her husband was working a half-day Monday and is off today, she said. The grandparents, she said, live in Marietta and Wheeling, W.Va.
A few people shared their thoughts on Christmas Monday afternoon as they came and went from last-day shopping at the Frontier Shopping Center. Kelsie Masters, 27, and Chris Watson, 31, of Marietta are marking a holiday unique in their experience. Jamie McCombs, 42, and her father, John Meyers, said they’re thankful for the company of family but try not to forgot those who aren’t as fortunate. Theresa Harris, 61 and a resident of Marietta, said she’s glad to have another Christmas just like those that have come before. “It’s going to be a beautiful Christmas, and I’m happy all my family is going to be here to celebrate with us. We do it that way every year,” she said. Sharon Paul of Marietta spent some of her Christmas Eve day at the Humane Society of the Ohio Valley animal shelter, along with several other volunteers, doing cleaning work and visiting with the animals to allow shelter staff to go home early on Monday and begin Christmas celebrations. Paul, who also oversees a feline rescue service, recalled a few of the animal stories from 2018 that moved her as Christmas Day neared. The dog was clearly old, apparently deaf and nearly blind with cataracts, she said. After a photo of the dog, whose name turned out to be Shiloh, was posted on the shelter’s Facebook page, someone recognized her and notified the owners, who called immediately to claim her. The world record for canine longevity is held by Bluey, also an Australian cattle dog, who lived to be 29, according to the dogtime.com website. Another local survivor was Jackson, an orange male tabby cat found abandoned and nearly dead with three litter-mates in May. 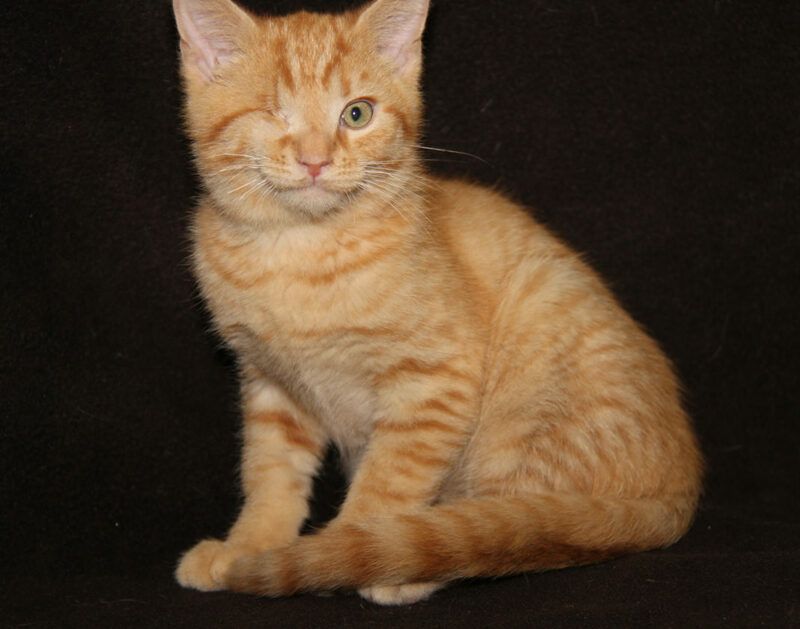 His siblings died but Jackson lived, with the help of a foster volunteer, but lost his right eye. “He always looked like he was winking,” Paul said. Jackson was adopted at the beginning of September, possibly making Christmas more cheerful for a local family. “He finally found a nice home,” Paul said. And then there is the cat given the impromptu name Downspout. 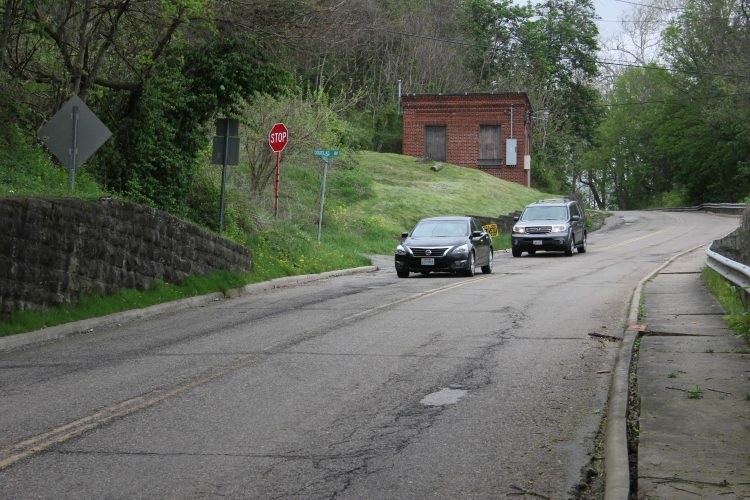 A Marietta resident walking the family dog in East Muskingum park encountered a kitten with its head stuck in the end of a large piece of plastic pipe. A humane society volunteer responded to the report and took the kitten, its head still stuck in the two-foot piece of pipe, to the shelter, where the pipe was carefully removed. Downspout was spayed and released back into its neighborhood. “She’s enjoying being home and free, along with being fed by the generous residents of the area,” Paul said.